The acre-sized Ice Castles serve as a unique backdrop for a romantic Valentine’s Day date with icy slot canyons, frozen tunnels, ice thrones and evening light show. Tickets are limited and must be purchased in advance at icecastles.com. 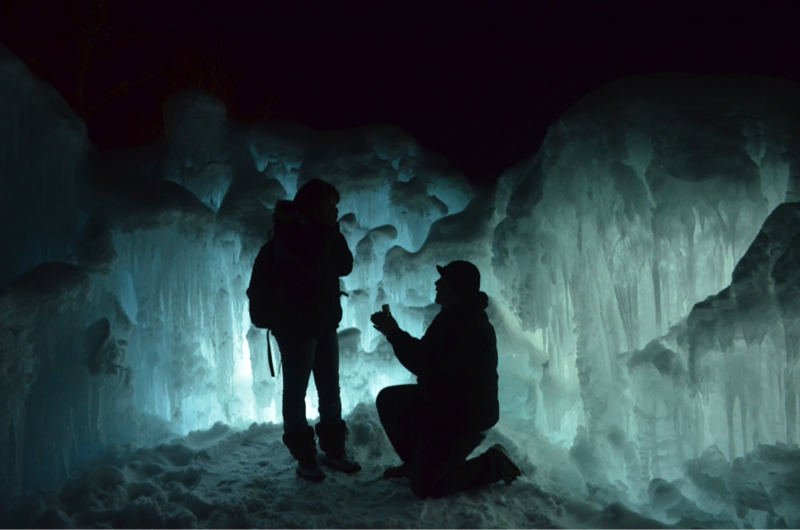 A couple gets engaged at the Ice Castles. It’s the perfect place for those life-changing experiences—or just a really cool date night. Things are heating up this Valentine’s Day someone somewhere very cool: the Midway Ice Castles, located at 2002 Soldier Hollow Road, Midway, Utah, 84049, the Lincoln Ice Castles, located at 64 Railroad Street, Lincoln, New Hampshire, 03521 (Hobo and Winnipesaukee Scenic Railroads) and the Eden Prairie, Ice Castles, located at 17970 East Miller Parkway, Eden Prairie, MN 55347. Visitors can hold hands as they explore frozen tunnels and get cozy as they squeeze through icy slot canyons. Kings and queens are made on the ice throne and all will enjoy the spectacular light show set to music. 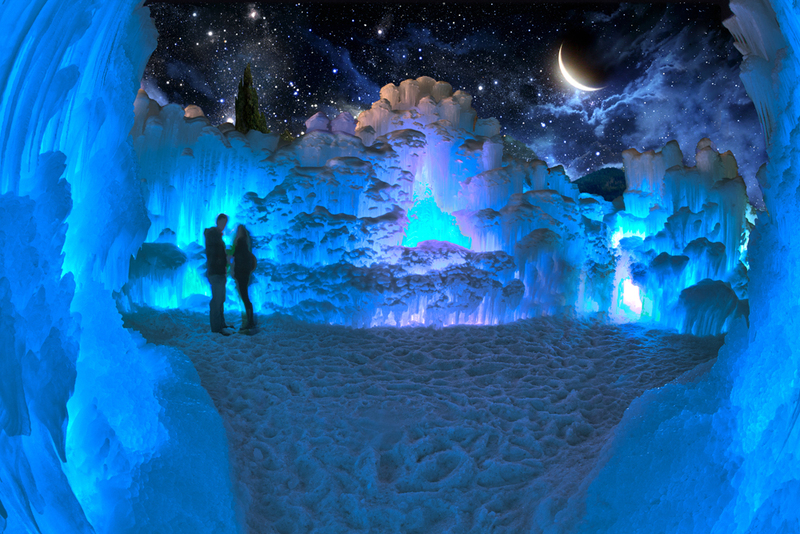 The acre-sized Ice Castle, handcrafted using only water and ice, serves as a romantic backdrop for couples of all ages. Visitors will enjoy walking through 25 million pounds of ice that sparkles a glacial blue by day and glows multi-colored at night with the help of thousands of LED lights embedded in the ice. Each of the Ice Castles is one of only four in the world and will be open through February, weather permitting. However, the venue is expecting a sold-out crowd for the Valentine’s/President’s Day weekend, so visitors are advised to purchase limited tickets in advance at icecastles.com. Ice Castles is a Utah-based company, led by ice artist Brent Christensen and CEO Ryan Davis, which creates acre-sized, all-ice castles at venues across the United States and Canada. Over 750,000 guests have visited an Ice Castle since the company's establishment in 2009. For photos, videos and more information, visit http://www.icecastles.com or http://instagram.com/icecastles_. 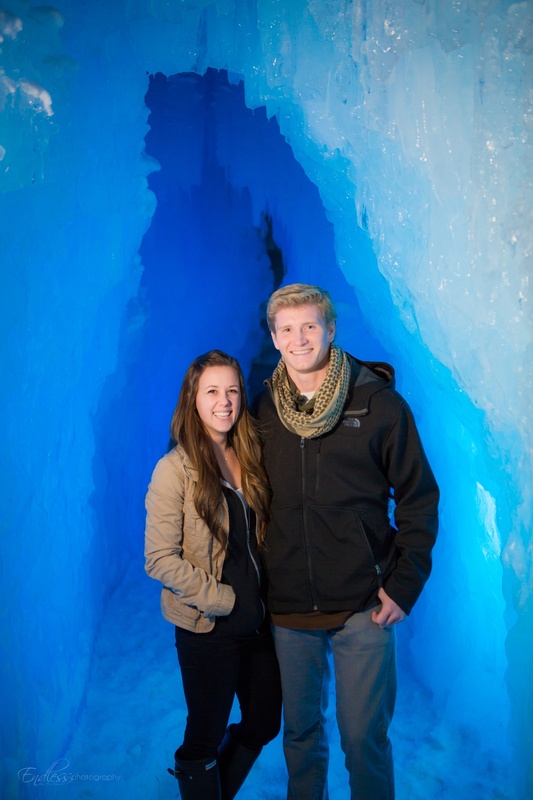 A couple gets engaged at the Ice Castles.A couple gets engaged at the Ice Castles. Plan your engagement at the Ice Castles on Valentine's weekend.Plan your engagement at the Ice Castles on Valentine's weekend. A couple after getting engaged at the Ice Castles.A couple after getting engaged at the Ice Castles.